Firstly, they are all marked as hidden, and secondly, the presence of the User.msvCalloutShape cell prevents Link Data to Shapes from working, and lastly, all of the Shape Data rows are marked as invisible. Simply place the file in you My Shapes folder to make it available for use within your Visio interface. 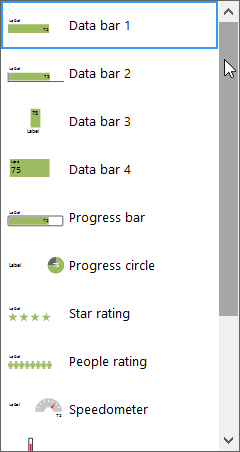 The msvCalloutField data row is the value that you need to update to see the graphics change. 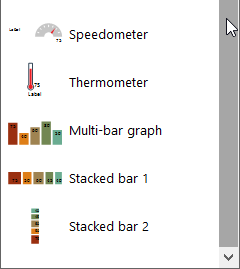 Reviewing these shapes should also inspire you to make your own custom Data Bar shapes. Note : Only license holders of Microsoft Visio Professional 2013 have the rights to use this stencil.